Liv and Ravi are doing some morgue work, but could their two worlds be colliding? That field looks like the one Ravi has be searching for the tainted utopium. 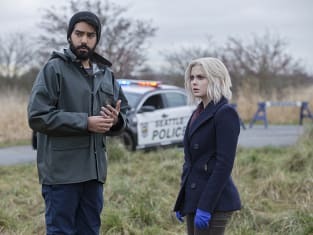 iZombie Season 2 Episode 13: "The Whopper"
We did it! Zombie cure, here we come! Permalink: We did it! Zombie cure, here we come! Clive: I'm gonna run this by Bozzio. Ravi: If she bears your children, you'll start using her first name, right? Permalink: If she bears your children, you'll start using her first name, right? 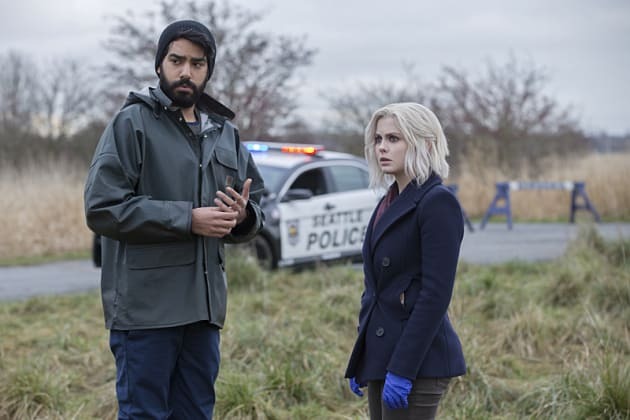 iZombie Round Table: Liar, Liar!